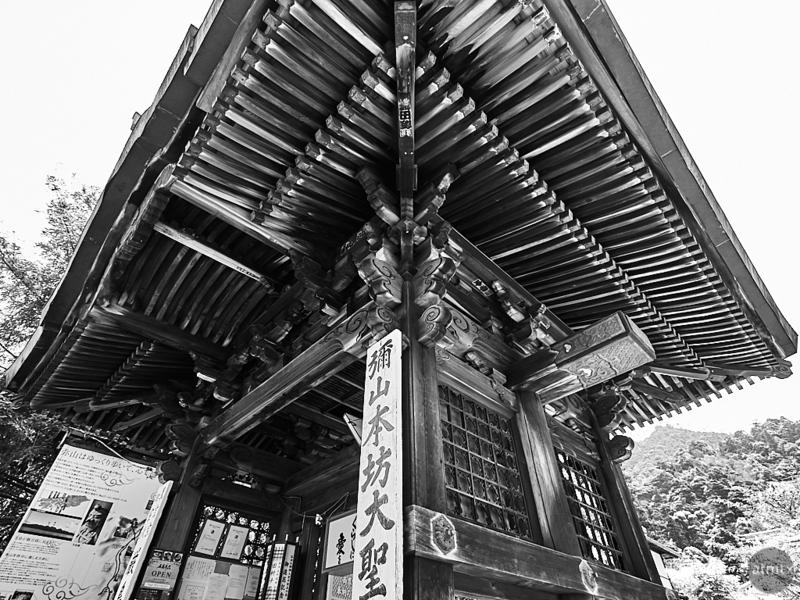 Japan is known for elaborate wooden structures, especially in the temples and shrines. Traditionally, they were even built without any nails. Skilled carpenters made sure each piece of wood fit with precision with mortise and tenon joints. This was some random building, nothing special, I think, located in the compound of structures at Daisho-in Buddhist temple in Miyajima. They don’t make soffits like this anymore. Many of the modern buildings in Japan are not much better than the cost optimized structure in the U.S. I used my Olympus 9-18mm lens, which creates wide-angle distortion, which I explicitly wanted in this photograph. I thought it made a dramatic roof all that more interesting. Now that is one great roof.